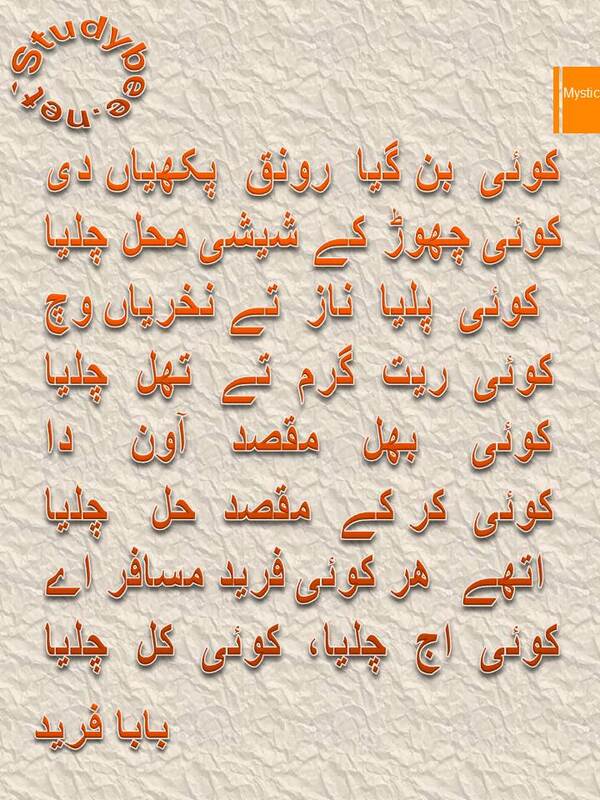 Har Koi Musafir Aye by Baba Fareed is a simple yet thought provoking poem on the reality of human existence and life. The philosophy lies in the fact if we should consider this worldly life a serious endeavor. This is so because for Sufis like Baba Fareed, Bulleh Shah, Waris Shah and Mian Muhammad Bakhsh; the time we stay on earth is nothing more than a travel during which we are being tested and detested by fate to test our mettle. Baba Fareed tries to highlight that man’s stay in this world is temporary and short lived. The moment of departure could arrive anytime without intimation. Baba Fareed relates that some of us have to live from hand to mouth. There are many others that lead a life of luxury and comforts. But this life has never proved loyal to anyone. It deceives and cheats everyone. Man remains oblivious of his true identity and the days of life come to and end. This very oblivion Baba Fareed wants us to forget and stir to the reality of our existence. He appreciates and values those that did earn good in the short span of worldly lives. Baba Fareed considers that they achieved the purpose of their beings. While there are several others that merely wasted their efforts in trying to earn the riches of this world. He considers them foolish because they failed to gain anything.